A new state-of-the-art Indoor Cricket Centre opened in October 2017, named in honour of former Headmaster David Jarrett, providing function rooms and facilities for the entire Reed's School community while at the same time supporting the work of the Reed's foundation. We provide a seamless process which offers bespoke yet affordable solutions without compromising on design or quality of build. Our log cabins are incredibly quick to construct, extremely thermally efficient and sit perfectly on your school site or playing field. Our Sports Clubhouses team provide a seamless process which offers bespoke yet affordable solutions without compromising on design or quality of build. 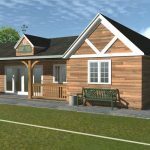 Our pavilions and clubhouses are individually designed to meet any brief, budget, style, type, sport or user and are expertly tailored to meet your project requirements. Please contact us now and we would be delighted to discuss your project with you. Error: Error validating access token: Session has expired on Thursday, 18-Apr-19 12:34:38 PDT. The current time is Sunday, 21-Apr-19 07:02:29 PDT.